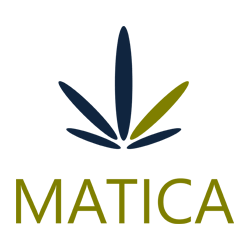 January 26, 2018 – Toronto, Ontario – Matica Enterprises Inc. (MMJ–CSE) (39N – Frankfurt) (MQPXF – OTC PINK) (“Matica” or the “Company”) announces that in response to Health Canada’s January 25, 2018 changes to the physical security requirements under the Access to Cannabis for Medical Purposes Regulations (“ACMPR”), the Company is conducting a review of the required Confirmation of Readiness submission for its Dorval, Quebec facility. The Company will be evaluating the existing security system and making any adjustments necessary to ensure that the facility meets Health Canada’s revised requirements. Management had previously announced an expected January 26th completion date of the Dorval facility (NR December 27, 2017). Matica and RoyalMax Biotechnology Canada Inc. (“RoyalMax”) management do not anticipate any undue delays as the Dorval facility has been built to exceed Health Canada requirements. Once any adjustments to the facility are completed, management will be submitting the Photographic-Evidence video to Health Canada to request a cultivation license.